Why is this company called Black and Yellow and not black and gold? When I started this company, I knew I would have to have this conversation a bunch of times with a bunch of different people. I've found some people are very and quite inexplicably passionate about this topic. While I've seen people get upset over less, I still think it's a pretty silly thing to get heated about. Nevertheless, I've taken the liberty of doing some research. Let's take a closer took at what should and shouldn't be acceptable and why some people can't wrap their heads abound the term "Black and Yellow." The term "Black and Gold" has been a staple of the city of Pittsburgh for decades. It has been traditionally used to describe not only the Pittsburgh sports teams, but the actual colors of the Pittsburgh city flag. I know what you're thinking, "Wait, Pittsburgh has a flag?" Yes, it does. This is what it looks like. 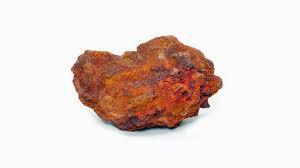 Furthermore, It can be argued that Black and Gold is correct because as per wikipedia, Pittsburgh uses black and gold on their flag because "The Colors black and gold are representative of the two ingredients to make steel; Coal and Iron ore." Below is an actual picture of coal and Iron ore. Kinda looks like Black and orange to me. What do I know? For starters, for the perspective of a clothing company like ours, have you ever actually googled the term "Black and gold clothing"? I have. Guess what comes up? Shirts and garments that look like this. Doesn't look much like Pittsburgh apparel, does it? If Pittsburgh truly is Black and Gold, why are clothes coming up that look like the New Orleans saints? Furthermore, when you follow the actual URL www.blackandgold.com, why does it take you to a New Orleans Saints Fan page like this? Waaaaait a minute. So if the Saints are a true black and gold, have Pittsburgh sports teams actually been black and yellow all along? Have I been living a giant lie my whole life? Well, not quite. If you look up the Saint colors in the Pantone database, it's labeled as "rich gold." If you do the same for Pittsburgh's Pantone, The color is often called "Athletic gold," or "Golden yellow." So what does all this mean? What has my research revealed? Should it be Black and Goldenyellow? I guess if you held a gun to my head I'd say black and gold is what's more correct. I know what you're thinking. If that's how I feel why did I name the company black and yellow? Glad you asked. I'll give you three definite reasons. Not only done to death, but exploited and embraced by the dorkiest of people. Yes, I said "dorky." Ever see those shirts that they sell in the grocery store that say "I bleed black and gold"? Yeah. Cheap shirts that skirt around saying Pittsburgh Steelers and usually end up being worn by your grandma on Sunday. When I think of the term "Black and Gold" I think of super lame stuff. I think of the black and gold zone hosted by Bob Pampiani, (Sorry, Bob), I think of lame Giant Eagles ads. I think of flyers you see at your local bank branch. Black and Gold just has no balls. It's just kind of there. If this company was named Black and Gold apparel, or even worse, "BLKGLD" it would just be another me too Pittsburgh thing. Not something special. Even though the Pantone color guide may contradict it, Black and Yellow is now a Pittsburgh thing due largely, in part, to Wiz Khalifa's 2010 Anthem. And while more people still say black and gold over yellow, Pittsburgh's teams are no where near the only teams that call themselves Black and Gold. The New Orleans Saints, The Boston Bruins, Iowa University, Wake forest, and Purdue just to name a few. Yellow, on the other hand, has become more of a general Pittsburgh thing. When People outside of PA hear the term Black and yellow, they think of Pittsburgh more than anything or anywhere else. Love him or hate him, you can thank Wiz for that. And therefore, more appropriate to use in a clothing company more associated with street wear and counter culture than sports jerseys. Think of it like the word "Yinz." When you say yinz, do you want some dork following you around with a dictionary saying, "Actually, the correct term is you all"? Of course not. Black and Yellow is the same way. I sold BLKYLO gear all summer from our Pop-up at Market Square in the heart of downtown Pittsburgh. I interacted with thousands of people who live in or around the city. Out of probably 3000 or so interactions with people, only three actually argued with me over the Yellow vs Gold thing and all three of them were over 50. When I tried to explain to them that Black and Yellow is more of an expression or a slang term rather than the actual colors, they just couldn't wrap their heads around it. So in case some of you are feeling the same way and none of this is getting through to you, I threw up this little photoshop banner to emphasize the fact. So Why did we name the company black and yellow and not black and gold? Easy. For us, Black and yellow is an attitude. It's not about the actual colors of the Pittsburgh teams. It's about Pittsburgh culture and Pittsburgh attitude. Is Pittsburgh culture about sports? A large part of it is, yes. But by naming it black and yellow instead of black and gold, we set out to make clothing and apparel for everyone, not just sports fans. As it turns out, that's exactly what we have been doing. Hope yinz are enjoying your November, thank you to all who bought the charity tee, and be sure to check out our Fall 2018 Series two line. We'll see you under the Christmas tree in a few months.